Buying a home may be one of the most significant investments you’ll make in your life. The dollar amounts are staggering, and if somebody takes advantage of you, they can walk away with substantial earnings. Fortunately, numerous mortgage rules attempt to protect consumers from irresponsible and dishonest lenders. There’s no way to completely eliminate risk, but you have better odds with consumer protection laws in place. The tradeoff for consumers: You need to be able to afford your home loan, and you need to prove your ability to repay with documentation. In the years leading up to the 2007-2008 financial crisis, it was easy to get a loan. Lenders allowed borrowers to take on mortgage debt without verifying that the borrower had income and assets available to repay the loan. In many cases, borrowers defaulted on those no-documentation loans. Lenders must now verify your ability to repay most home loans. If lenders meet specific criteria, they can issue “qualified” mortgages, which offer them legal protection if borrowers can’t pay off their loans. Lenders don’t need to issue qualified loans—they can evaluate your ability to repay in a variety of ways—but qualified mortgages give them the most protection. The key features of qualified loans are highlighted below. Affordable monthly payments: Lenders must ensure that housing payments take up no more than 43 percent of your income. That debt-to-income ratio ensures that you have money left over for other living expenses and prevents you from being “house poor.” With extra money each month, you can save for emergencies, pay down other loans, and work toward financial goals. Interest-only loans: If you only pay interest charges, you never make progress on your debt, and you don’t build equity. 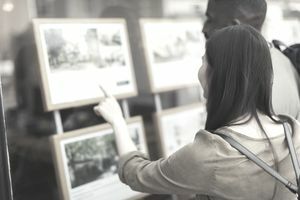 What’s more, you may need to pay a significant amount if you try to sell your home after it loses value—which could prevent you from moving and cause other problems. Negative amortization: Standard home loans have a payment schedule that reduces your debt over time. But some option-ARM loans allow your debt to increase when you make small monthly payments (or if you choose to make no payment at all). Eventually, those loans convert to standard loans, and an increased balance is problematic. Long-term mortgages: Qualified loans cannot exceed 30 years. A 30-year fixed-rate mortgage often has an affordable payment—and you’re free to choose a 15-year loan or another term—but 40-year loans lead to high-interest costs. Upfront fees and points: Lenders who choose to issue qualified loans must limit any upfront charges to “reasonable” amounts. Loan Estimates come in a standardized format, so they’re useful for shopping among lenders. Get quotes from several sources, and compare each section of the loan estimate to determine which loan is best for you. The ability to repay rules help you avoid getting in over your head. At the same time, they make it harder to borrow. If you plan to get a home loan, prepare for a long process, and expect to wait while lenders review your finances. You’ll need to submit pay stubs, tax forms, account documents, and anything else that proves you have income and assets available to repay your loan. Self-employed individuals may have an especially hard time borrowing. In the past, you could get approved for “stated income” loans, which did not require any proof of income or information about your business. Those low-documentation loans are now rare (although they seem to be making a comeback), so it’s critical to keep organized records and tax documents. Real estate investors: Some investors require a significant amount of money up front, with no intention of keeping the property or living in it. Investing can be risky, but for those who want to take those risks, qualified mortgages might not be an option. For example, buying a property to rent it out may be challenging. Although laws can protect you from many predatory practices, there’s always risk involved when you borrow money. To prevent problems, ask trusted friends and professionals for referrals to mortgage lenders. When speaking with lenders, avoid those who are aggressive or who promise that you can get approved easily. If lenders mislead you or provide a loan that is not suitable for you, you have several options, and you don’t have to choose just one. File a formal complaint with the lender’s corporate offices and ask for a remedy. Submit a complaint to the Consumer Financial Protection Bureau (CFPB), a U.S. government agency that can help you resolve issues and enforce rules. Low-Doc Loans Are Still Available, but No Longer "Liar Loans"